While this might be iPhone 101 to some, Apple pretty much snuck this feature into their 2.0 firmware, and while we’re now at 2.1, not everyone may yet know that they can capture their iPhone screen contents with just the touch of two buttons. To take a screenshot with your iPhone or iPod Touch, just press the Home and Sleep buttons at the same time. On 2.0, the screen will flash white, while with 2.1, you’ll also get the camera shutter sound, and your screen will be captured. To access your screenshots go to Photos and on the iPhone, look in Camera Roll, while on the iPod Touch and check out Saved Photos. The heart rate monitor application created by john Ballinger hit the Apps Store. 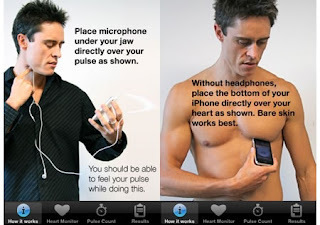 The new amazing application uses the iPhone’s microphone to “listen” and measure your heart beat. Heart Monitor works best in quiet areas. It can be used to find your resting heart rate, track how your heart rate changes and check your heart rate immediately after training. Because Heart Monitor uses sound to detect heart rates, you can use the iPhone 3G directly over your heart or directly on the pulse in your neck or wrist. You can get excellent results when using the microphone on your headphone cable. Heart Rate Monitor application works best with iPhone 3G, works well with iPhone 1G/2G but you must use the headphone cable microphone, the inbuilt microphone does not detect heart beats. You can purchase Heart Monitor for $4.99 via iTunes. 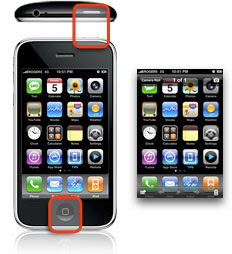 Apple has changed the way of rating applications of iPhone and iPod touch. 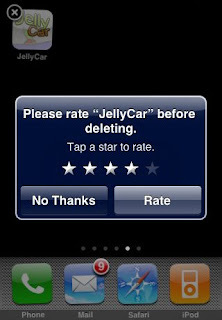 Earlier, if you had to write a review at iPhone App Store to rate applications, now there is another way coming. * خاصية Google Street View . * خاصية الإتجاهات للمشي . * مشاركة موقع من خلال الإيميل . 2. تحسين خصائص إعداد فشل الإتصال . 3. تحسينات لبرنامج Mail . * حل بعض مشاكل تنريل الايميلات . * تحسين عرض الايميلات التي تحتوي HTML . 4. تستطيع تنزيل حلقات البودكاست من خلال برنامج iTunes سواء من خلال الـWiFi او الشبكة . 5. تحسين اداء سفاري . 6. تحسين الصوت في خاصية الـ Visual Voice Mail . 7. عند الضغط على زر Home في صفحة اخرى سياخدك للصفحة الرئيسية . 8 إمكانية إطفاء خاصية التصحيح التلقائى . ويظهر في بعض البرامج بالشكل الصحيح .